First Brethren Church in Buena Vista, Virginia (Christian Becker, pastor) will hold its annual Homecoming on Sunday, October 9, 2011. This year marks the church’s 121st anniversary. The Worship Celebration will begin at 10:30 a.m. An infant Nursery and Children’s Church will be available. A potluck fellowship dinner will follow at 12:30 p.m. in the church’s fellowship hall. Rev. Dan Thornton will be the guest speaker for the worship service. Thornton’s father served First Brethren as pastor in the 1960’s. Rev. 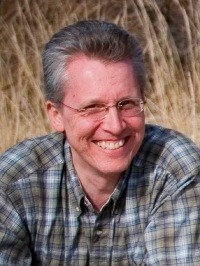 Thornton is currently the Lead Pastor at Maranatha Brethren Church in Hagerstown, Maryland. Mark Templeton & Pocket Change will bring the special music for the service. Templeton said that the group spans the range of acoustic music from Gospel to “Straight Ahead” Bluegrass. Their “Southern Gospel” style harmony, along with solid instrumentation, gives them a unique sound.